Some of the questions I get asked repeatedly pertaining my art career are: "How did you become a successful artist? ""What are you doing in order to live off you art?" Here is one of my most useful tools that help me with art career: Marketing. 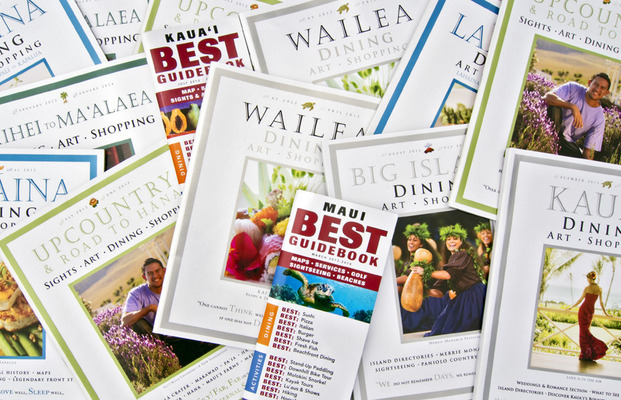 The most successful and best marketing tool I have is the shopping and dining guide by BEST Publishing on Maui and Kauai. The exposure I have experienced from being in these magazines for the last 12 years is incredible. BEST exposing my work to millions has been career changing and I contribute a lot of my success and ability to live off my artwork, to my ads! I sincerely believe that without my making exposure in the magazine I would have not been able to sail through the recession, with my top selling years which have been the last 3 years like I did. A big mahalo Mikel and Deb. Big Mahalo to BEST Publishing!